“I work with women who can’t seem to find the right relationship and who are ready to give up on love. I help them have stable, committed, deeply loving relationships with a man who ROCKS THEIR WORLD!” Dr Sharon Cohen has been working with our team since 2013, and we haven’t looked back. She recently asked us about holiday dating, and where to find a date. Read our secrets on her blog here! Want more info about working with Dr Sharon to revamp your love life? 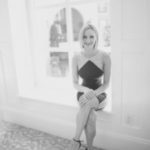 Co-Founder of Cinqe Matchmaking, obsessed with western medicine, my dog, interior design and making matches in Southern California.